The Museuminsel (Museum Island) is a cultural and architectural monument and UNESCO World Heritage site since 1999. Altes Museum, designed by Karl Friedrich Schinkel in 1830. Neues Museum, designed by Friedrich August Stüler in 1859 and renovated by David Chipperfield in 2009. Alte Nationalgalerie, designed by Friedrich August Stüler in 1876. Bode Museum, designed by Ernst von Ihne in 1904. Pergamon Museum, designed by Alfred Messel and Ludwig Hoffmann in 1930. In 1841 the island was dedicated to "art and science" under King Frederick William IV of Prussia's orders. 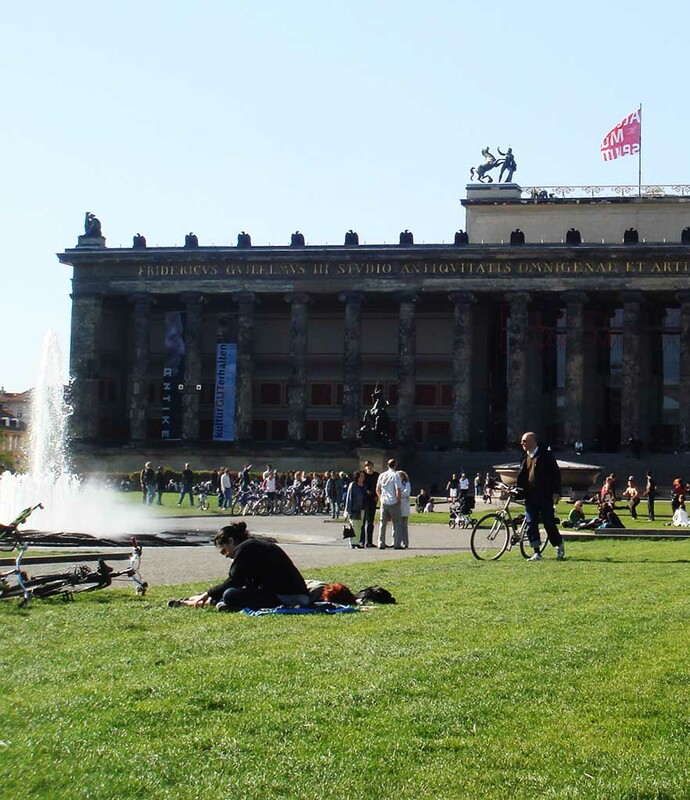 Although the Altes Museum dates back to 1822. The island is currently under renovation and the master plan aims to turn the site into a one of a kind cultural location in 2015. "Just to lay on the grass, or go to one of the museums around it. I think my favorite one is the Pergamon, followed by the Altes Museum." -Astrid Paramita, Develper/Designer & Founder. The normal ticket for the 5 museums costs 18 euros. The story begins in 1841 and still continues.